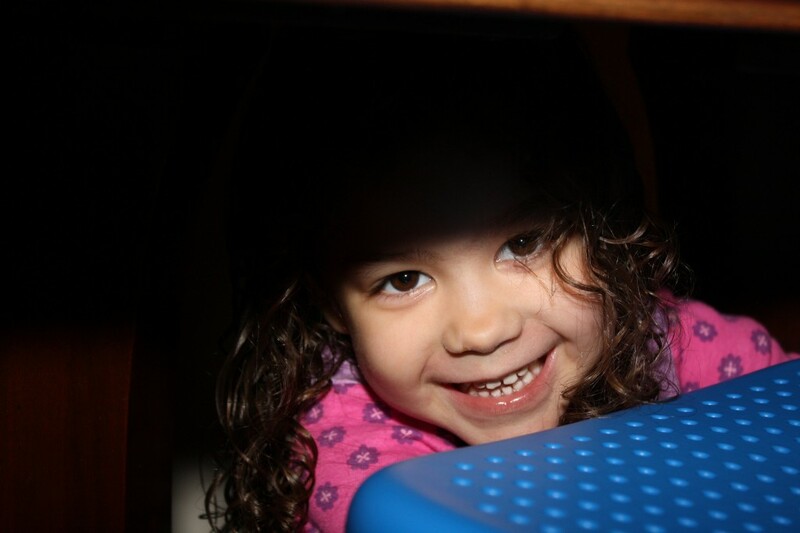 Coraline tries hiding under the library table in my office (4/1/14). As much as I photograph her, she still likes to make me work for my shots. But then you get that beautiful smile! She’s one radiant child! Good point. 🙂 Thanks, Elvira! I like to think her happy personality comes through in most photos of her.